Hope this kickstarts someone's weekend. 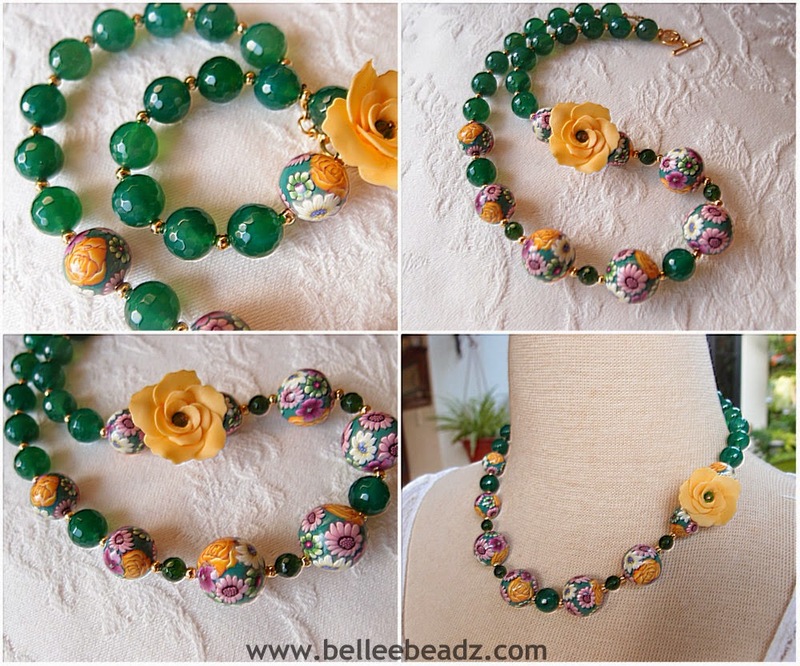 Gorgeous, transluscent microfaceted green agate balls, polymer clay rounds and a dash of microfaceted green onyx. I've picked a yellow rose from the clay beads and chosen a similar clay rose as a side focal.